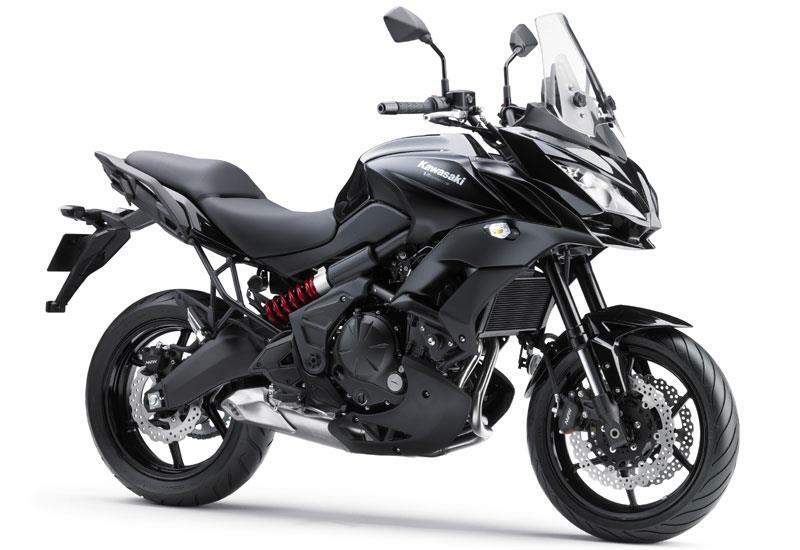 Kawasaki’s third-generation Versys 650 has grown into a serious small-capacity sports tourer - brilliant at munching big miles for little money and still perfect for the less experienced and smaller riders. With its new Showa forks and KYB rear shock (with remote preload adjuster) the supple ride quality belies the Kawasaki’s budget price tag and handling is soft, but agile and reassuring. New Dunlop D222 sports touring tyres (which are actually a cheaper, single-compound version of the French firm’s RoadSmart) offer decent grip, while uprated front brake pads, ABS and a 30mm larger diameter rear brake disc give you more confidence on the brakes. 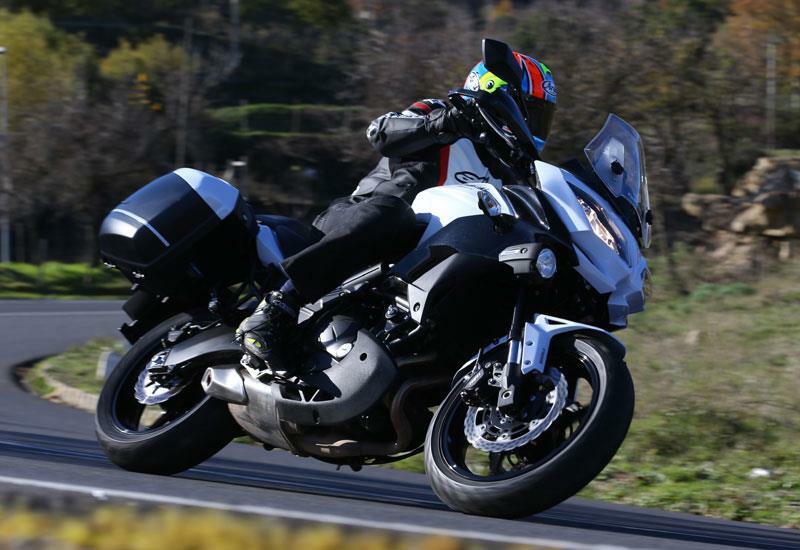 The improvement in rear power will be a blessing when carrying a pillion. 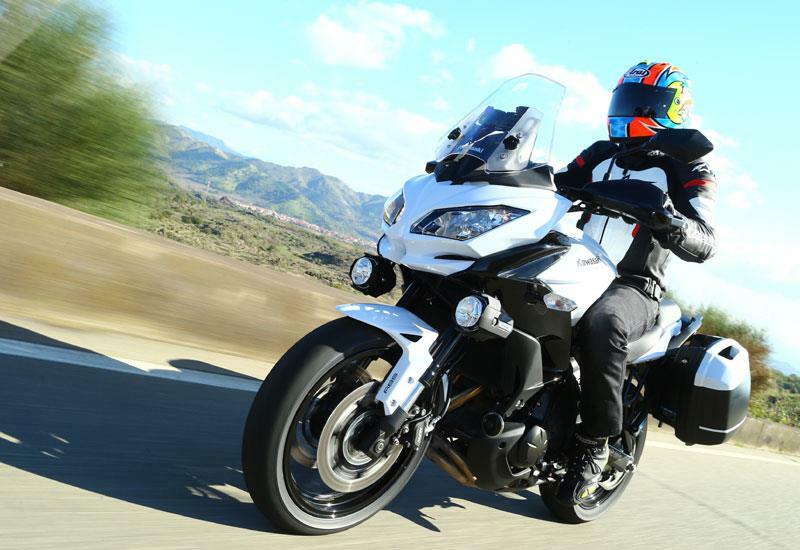 The Versys 650 is comfy on the long haul and the new taller, manually-adjustable screen and wide tank protect your head, shoulders and knees from high speed windblast. A new 21-litre tank is two-litres bigger than before and if the on-board computer is to be believed, the motor is nice and frugal, returning 56mpg. The 649cc parallel twin-cylinder engine has an extra 5bhp and 2ftlb of torque (200rpm further up the revs). It’s still packed with lots of low-down and midrange grunt, but really you’d be hard pushed to notice the extra oomph over the old model in isolation. 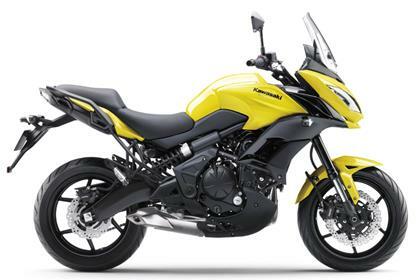 In fact it feels a little less spritely, due its heavier new wheels, fairing and sturdier subframe (to take the new accessory pannier and top box fitting system), which adds a hefty 8kg to the Kawasaki’s all-up weight. But you do notice the lack of vibes from the motor. They used to run through you like an electric shock and blur the mirrors on the old models, especially the ’06 original, but not now, thanks to the new front rubber engine mounts. Read through reader reviews of the previous-model machines and you’ll see nothing but glowing reports, so expect more of the same dependability for this bike. It’s a well-finished machine and there are no clues to its budget price tag. Nice touches include the petal brake discs, ‘banana’ swingarm, remote preload adjuster, adjustable screen and ABS. The Versys 650 is now better value than ever. It’s more versatile and can be used for everything from popping to the shops to travelling across Europe. Standard equipment is sparse, but there’s a wide range of accessories available. 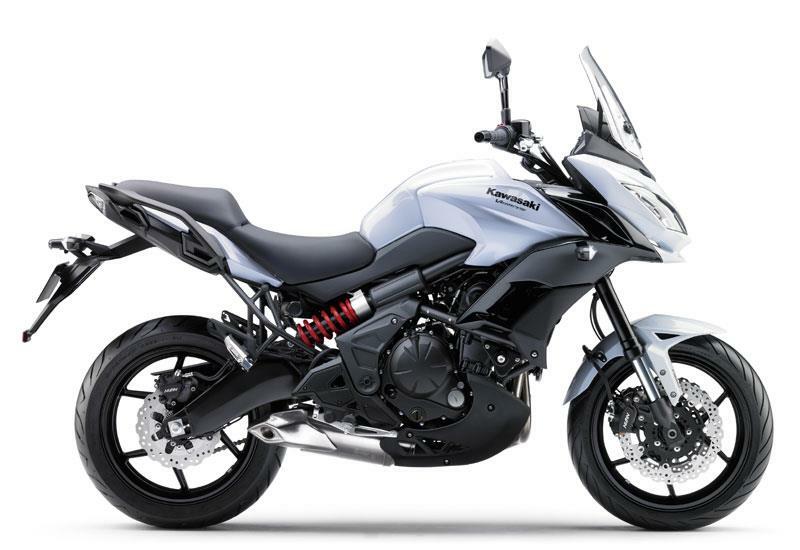 In the UK there’s also a ‘Tourer’ version, with panniers (and liners) and handguards and a ‘Grand Tourer’ with panniers, liners, a top box, hand guards, fog lamps, gear position indicator and a12v power outlet. Front brake 2 x 300mm discs with twin-piston calipers. Rear brake 250mm single disc with single-piston caliper. 2 owners have reviewed their KAWASAKI VERSYS 650 (2015-on) and rated it in a number of areas. Read what they have to say and what they like and dislike about the bike below. This bike is fantastic. I owned the previous model as well but this one is even better - no engine vibes, fab styling and brakes much improved. Build quality is great. I use it mainly as a commuter, but with the luggage on it's good for a weekend away. I've just traded down from a 1000cc bike but to be honest for the extra cost, the difference in power wasn't worth it - this little 650 has some serious poke. It's just an awesome all rounder and I wonder if I'll ever need another bike. If you need practicality AND a bit of fun this is the bike to buy. I splashed out on the GT - the luggage alone is worth a wad and the riding lights give extra confidence in the dark. Love it. Great for round town, open her up and it turns into a different bike. 650cc? The GT pack was a bit of an extravagance at the time but it's really proved its worth. I need to carry stuff and the luggage is good quality and very practical. Love the riding lights. I've added a rad guard and hugger, as the rear did get splashed up quite a bit. The best feature of the bike it's is built quality and the comfort ride that provides.All that of course if you ride it under 4,000-5,000 rpm because if you decide to go over 5,000rpm then Mister hyde comes to life and the bike transforms to a sports bike (more than a tourer)! the worst bit is located to the front suspension where you have to experiment a little, in order for the bike to become more communicative with your handling.As a result of all that and more, i believe that the bike has an important feature that not many bikes have..SOUL. In this bike you never know exactly how many cards it has on it's sleeves (in this case in her engine). 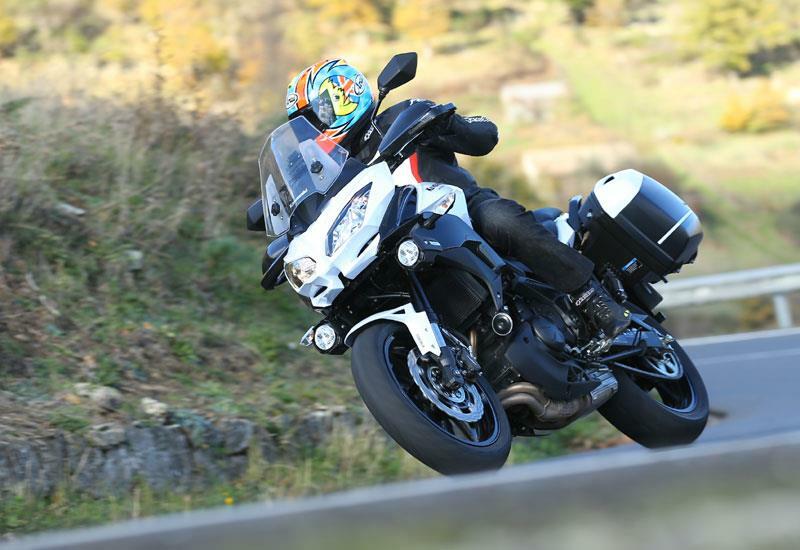 it has the power delivery of a smooth tourer in the range of 3000- 5000rpm but when you turn your right wrist a little bit harder you'll find it has twice the power it had before..! Nothing faulty to report whatsoever. The build quality is excellent.